Though it might not sound very ‘cool’, I haven’t been to Goa, yet. However, the same is in my destination list for my quest to try upon authentic Goan food. Whatever little dishes that I have tried till now are from Goa Bhawan. The other day, I had a privilege of being invited to the much acclaimed restaurant in Taj Mahal Hotel- Machan ,to relish the rich Goan delicacies. I was actually looking forward to have an awesome food experience at Taj and I really had. It was indeed great to interact with the Chef Arun Sundaraj and to taste some of his signature dishes at the Coastal treats from Goa over a Saturday brunch at Machan. 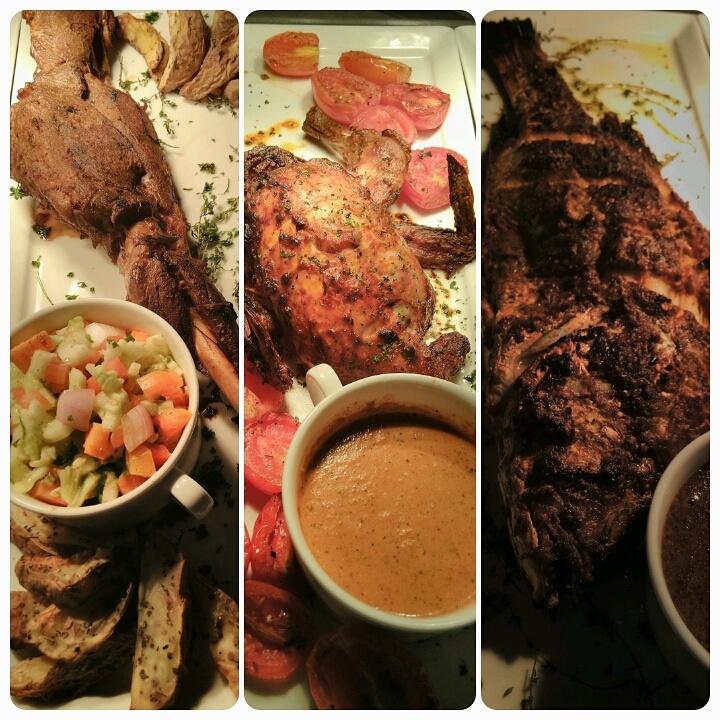 I must tell you that you can enjoy this sumptuous spread over a Saturday Brunch till the end of October, 2015. The offering is actually a part of the ongoing celebrations of regional cuisines at the iconic restaurant. However, Taj seems to have taken quite an offbeat step to organize brunches on Saturdays, gradually setting up a trend. Thumbs up to the new trend! Chef Arun Sundaraj, Executive Chef, The Taj Mahal Hotel was instrumental in relaunching the Lobster Shack which earned the reputation of being the best shack in South Goa. Inspired from his brief spelt in Goa, he has curated the Goan brunch on Saturdays at Machan. While the live Goan band performed some classic Goan numbers, I had Chorizo Pulao, Clam Masala, Exotic Vegetable Malaguetta, Mutton Xacuti, Prawn Balchao, Goan Fish Curry,and Okra coconut. Out of all the dishes, I loved Clam Masala the most. The Goan catholics and the Gowd Saraswat Brahmin, both have different ways of making Clam Masala. As told by Chef, the one being served at Machan followed the middle path in style of cooking. It was full of flavours- not too spicy. Chorizo Pulao- minced pork sausages cooked with rice was extremely flavourful. Mutton Xacuti was made with goat’s meat that has the flavor of coconut milk, curd and other spices. Okra, a common vegetable, apparently changes it flavour after crossing the regional boundaries and I seem to love it in every form. Here, Okra was cooked with shredded coconuts which added a nice flavor to the whole dish. I relished all the dishes to the core. One noticeable and outstanding section was that of the desserts. I had never seen something like this before. Although there were no specific Goan desserts but the hall was actually full of colourful desserts ranging from carrot cake to kalakand to suji ka halwa. I was really spoilt for choice. Surajkund, as a destination is famous for its annual fair which promotes Indian traditional handicrafts and handloom. I have been to the fair only once, certainly not for the handloom or handicraft but for the food. I remember having extremely palatable Pakistani food especially the chapli kebabs two years back at Surajkund fair when Pakistan participated as a partner country. Since then, I could not find any other reason to travel to Surajkund all the way from Delhi. 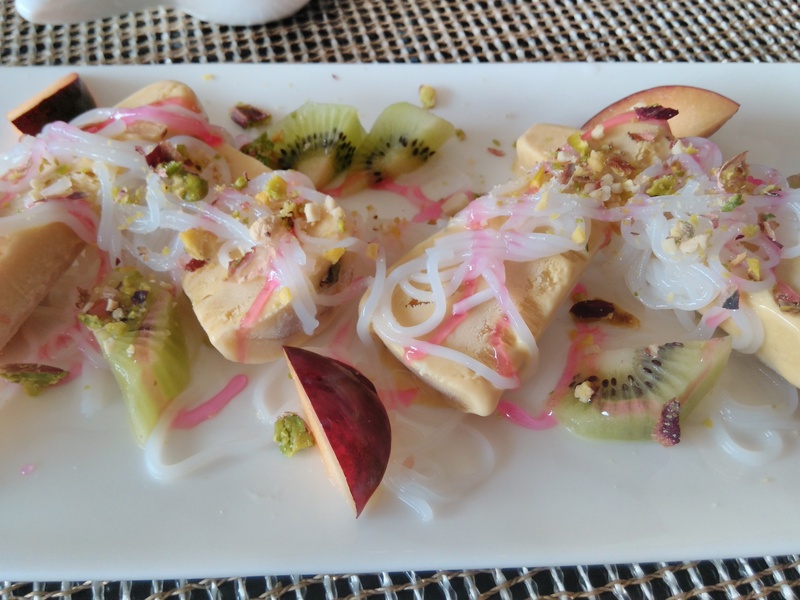 However, an invite to visit Vivanta by Taj to savour the Sunday brunch dishes at Oasis restaurant provided a tempting reason to pay visit to this place again. The major highlight of the Sunday brunch at the Oasis, Vivanta by Taj at Surajkund is live counters for Japanese, Indian, Chinese and Italian appetizers. An important element of a live counter is the interaction with the chef while he/she cooks right in front of you. The other highlights are the lavish buffets which include cold cut counters, salads and Indian section. I started my food journey with Sikandari raan, tandoori sabut murgh and baked whole snapper with kasundi, peri peri chutney, beetroot chutney and kachumber. All of them were marinated just right and grilled to perfection with the chutney and kasundi perfectly complimenting the meat dishes. 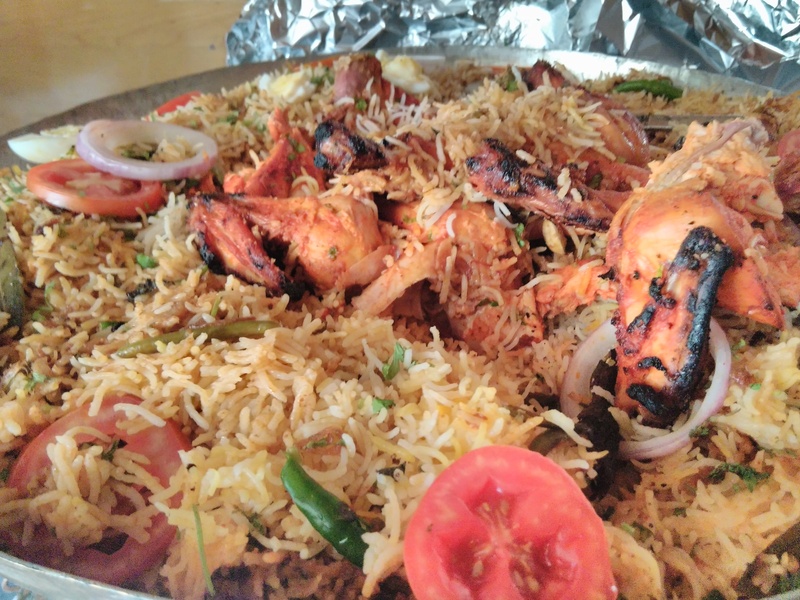 The zenith of the brunch was Chicken Kabsa, a delicious mix of rice and chicken, commonly available in the Middle East and regarded as a national dish of Saudi Arabia and is very closely similar to our own chicken pulao. Executive Chef at Vivanta by Taj, Mr. Joshi gave a detailed explanation of how the dish is prepared. The commonly used spices in preparing chicken kabsa are cloves, cardamom, saffron, cinnamon, black lime, nutmeg and black pepper. Rice is flavoured with spices, onion rings, slices of tomatoes and whole green chilies. Later, pieces of roasted chicken are mixed in to the rice. What makes it distinctive is the tomato base that gives it a light flavor and other aromatic spices mixed with whole spices. It was truly delectable. 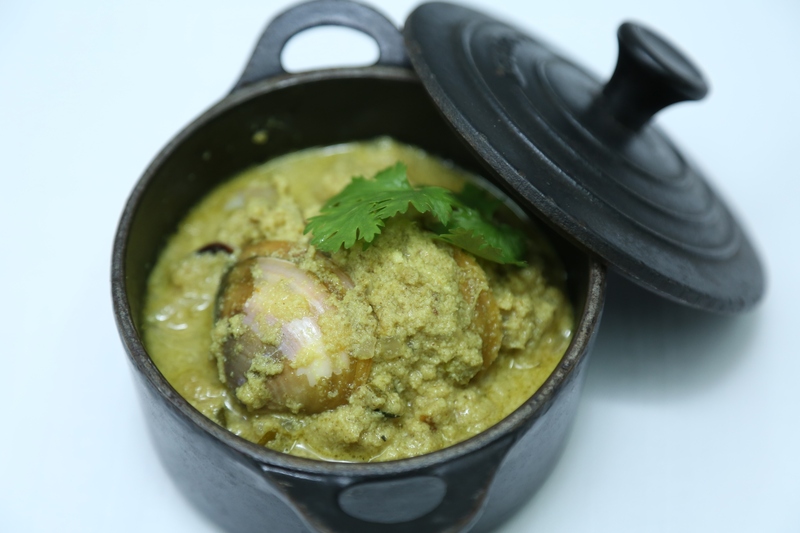 I enjoyed having it with Mutton chaap and Saag mutton both of which were thoroughly and wonderfully cooked to the core with the meat effortlessly falling off the bone. The day I went to Surajkund coincided with Mother’s Day celebrations and I met a few Bengali families celebrating the occasion. I got to taste the Bengali sweets, rosogulla and sandesh and I ended my meal on summer coolers- smooth and creamy, pistachios and almond kulfi faluda with kiwi and apple toppings. Vivanta by Taj, Surajkund runs another restaurant by the name of Pandara that serves Punjabi style dhaba cuisine. With this said, I believe, the association with Surajkund is going to continue!